Astrology is an age-old, pseudoscientific tool for explaining a person’s character traits according to the star sign he or she were born under. It’s also used for predicting their future events by measuring the positions of the sun, moon and planets at the time of their birth. While it is rejected by science as having no validity whatsoever, more times than not people are impressed by how accurate the 12 zodiac signs can be in predicting a person’s character traits and thus, their zodiac dating compatibility with other star signs. The following is a complete guide to zodiac dating and matchmaking that will assist you in your search online for your perfect – heavenly – match! Top online dating websites have noticed how helpful astrology can be for matchmaking methods and have incorporated astrology in their sites. For example, Zoosk has the astrology sign of their users listed on their profiles to add value for people searching for their matches according to their star sign. match.com frequently publishes advice on love by astrologists in their magazine section. While it should not be forgotten that astrology is in no way scientific, one should not be quick to disregard it where matchmaking is concerned, since matters of love and attraction hardly ever are! Passionate and intense, the Aries is always ready for a new adventure. They can’t stand for the mundane and trivial parts of a relationship, and, competitive by nature, they will accept any challenge you throw at them. Best Matches: Leo, Sagittarius, Libra. Worst Matches: Pisces, Gemini, Virgo. People born under the sign of Taurus are well known for their stability, solidness and stubbornness. They have a reputation for being reliable but also for being sensual and moody. Potential partners beware: A typical Taurus loves to be pampered with the finer things in life. Best Matches: Scorpio, Virgo, Capricorn. Worst Matches: Aries, Sagittarius, Gemini. Witty and expressive of himself, the Gemini has a natural curious streak that encourages him to understand the world around him. This trait is represented in Geminis’ relationships by their constant need to understand their partners’ innermost thoughts and feelings. It’s extremely hard to keep a Gemini interested for long, since Geminis are anything but stable; they thrive on changes and will always prefer instability to constancy. Best Matches: Libra, Aquarius, Leo. Worst Matches: Taurus, Cancer, Pisces. Domestic traits are clearly inherent in Cancerians; they are nurturing, caring and natural homebodies. They love to fix things and are extremely intelligent emotionally. If you want to partner with someone who sees things through and strives to protect his loved ones from all harm, you’d be best to settle down with a Cancerian. Best Matches: Capricorn, Scorpio, Pisces. Worst Matches: Gemini, Aries, Sagittarius. The life of the party and a natural born hunter, the Leo is highly motivated and always at the center of attention. Leos love to take the leading role in any relationship and will usually fight to establish their dominance over other. They are all heart and desire, and when they take a liking to you, they usually put everything they have into it. Best Matches: Aquarius, Aries, Sagittarius. Worst Matches: Gemini, Capricorn, Pisces. Virgos are ever the practical people, who always choose the more reasonable decision over their heart’s desire. They always try to perfect themselves and others, and are perfectionists by nature. They tend to shy away from others but once they overcome this they can become quite the passionate lovers. Best Matches: Pisces, Taurus, Capricorn. Worst Matches: Aries, Libra and Aquarius. Libras are passionate and intuitive. They are very aware of their surroundings and are extremely empathetic to peoples’ feelings. They strive for achieving balance and harmony, but as an air sign, they don’t like to dig too deep and can loose their concentration pretty quickly. The passionate Scorpio is powerful in social settings and often desirable. Scorpions have a way with drawing people to them and are quick to make friends. They are popular and outgoing, but can be vindictive if you betray them. Best Matches: Cancer, Virgo, Pisces. Worst Match: Aries, Gemini, Sagittarius. People born under the sign of Sagittarius are known for their creativeness and extremism. They are all heart and open up to others like a book. They are usually athletic and always on the go; as a result it is hard to keep them settled down for long and they loose interest in things pretty quickly. Best Matches: Gemini, Aries, Leo. Worst Matches: Taurus, Cancer, Virgo, Scorpio, Capricorn. The Capricorns are ever the ones to plan ahead and strategize for the future. In relationships they are one hundred percent supportive of their partner and tend to be open about their feelings. As lovers, they are very sensual and sexual. Best Matches: Cancer, Taurus, Virgo. Worst Matches: Aries, Gemini, Leo, Sagittarius. Aquarians are anything if not logical. Their cool demeanor is part of their charm, and they value their privacy greatly. They don’t like to expose their feelings or weaknesses, and are born with a fighting streak that makes them ready to battle it out when the sense injustice. They are known to be interesting and dynamic people. Best Matches: Gemini, Libra. Worst Matches: Taurus, Cancer, Virgo. The Pisces is creative and dreamy. They love to fantasize and albeit their tendency to drift away and daydream , they are incredibly empathetic and sensitive to others. Best Matches: Virgo, Cancer, Scorpio. Worst Matches: Aries, Gemini, Leo. Ready to start searching for your most compatible zodiac match? 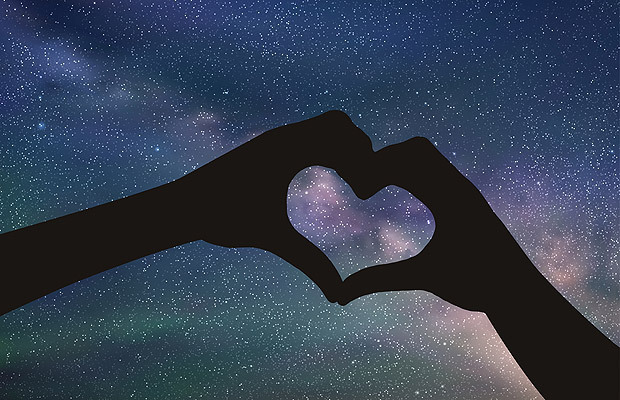 Pick a dating site from our top picks and discover what the stars have in store for you.